office or college has completely settled in the minds of students, clerks, and even moms with kids. Studies conducted at Harvard have shown that 1-3 cups of coffee a day are beneficial to health because such dose significantly affect the risk of diabetes, reducing the probability of its developing. If you drink up to six cups a day, it will reduce the risk of the disease even more. Besides, the consumption of coffee reduces the risk of Parkinson&#39;s disease by 80% and the probability of cancer developing by 25%. Women that drink coffee reduce their chances of getting breast cancer by 40%. Before going to the gym, drink a cup of coffee. It will increase the level of endorphin in your blood in just afew minutes. Endorphins will cheer you up and charge you with vivacity for the upcoming exercises,thereby increasing the effectiveness and duration of training. If you want the best results, drink some coffee before pumping iron. A cup of coffee contains more than a thousand different antioxidants important for health because they lower the inflammation of the joints and remove toxins from the body. And antioxidants neutralize free radicals, which lead to weight gain. The more antioxidants you consume, the better you feel and look. People, who drink coffee regularly, live longer than those who don’t drink it. It’s not very clear why this happens, but scientists tend to associate this with the antioxidants contained in the drink. Besides, coffee reduces the number of snacks you have during the day and improves the effect of exercises. The habit of drinking coffee successfully replaces the habit of smoking, and it’s much healthier, and this also affects life expectancy. caffeine, is a natural stimulant. In the modern world, this is the most widely used psychoactive component. 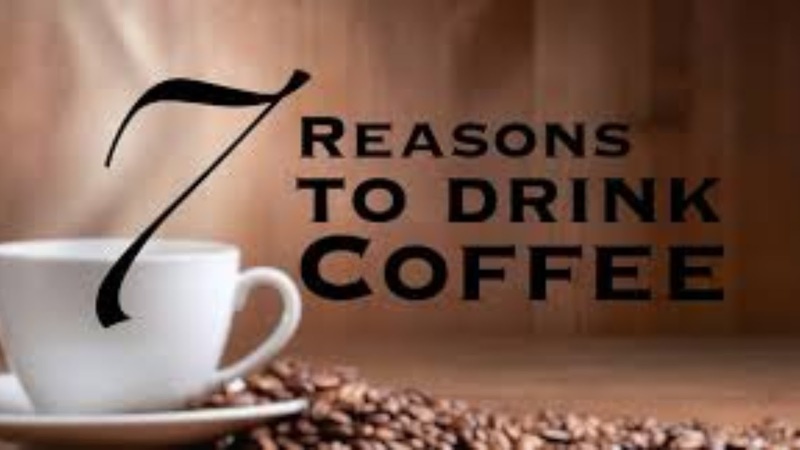 Caffeine blocks the effect of adenosine, which strengthens the connections between neurons in the brain and causes the production of other types of neurotransmitters. All this leads to a stimulating effect and positively affects the brain and mood. Regular use of coffee can also help overcome emotional problems and improve cognitive abilities. Studies show that coffee improves thinking ability and problem-solving skills. Caffeine in coffee helps self-regulation of the liver. Its regular consumption can reduce the risk of such diseases as liver cancer or cirrhosis, as well as liver failure. In addition, caffeine reduces the likelihood of alcoholic cirrhosis. These benefits don’t apply to other caffeinated drinks, such as black and green tea. Under the influence of caffeine, the body loses vitamin B1 which provides and regulates carbohydrate metabolism and the work of nerves. With its lack, the quality of the skin, memory, and hair deteriorates. So next time, think twice before drinking the sixth cup of coffee just to get a couple more hours of surfing the web, browsing your profile on the online dating site, or watching Netflix. This is a result of the overdose, when coffee is too strong, and when you drink it too often. At the same time, the amount of substances that transmit signals to your nervous system is significantly reduced. Signs of nervous exhaustion include irritability, depression, frequent palpitation, and insomnia. To prevent this, you need to drink no more than 2-3 cups of coffee a day. Due to the diuretic effect, coffee can wash off calcium, magnesium, and other minerals and trace elements from the body. Because of this, a person, who regularly consumes coffee even in normal doses, may experience weakness, depression, heart problems, and headaches. You can partly prevent the excretion of nutrients if you add milk to the drink and consume vitamins and food supplements containing minerals.